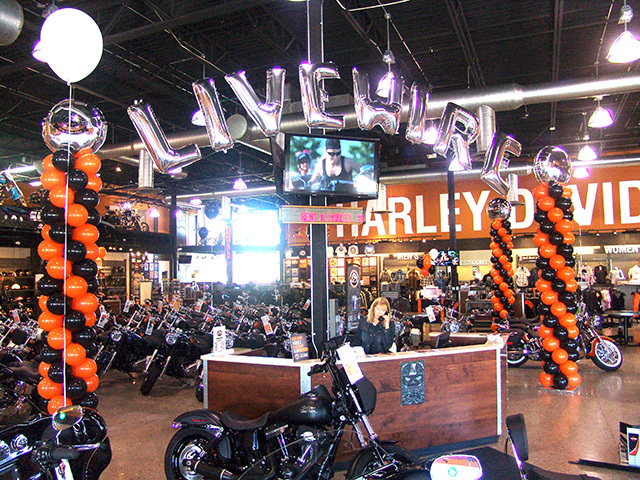 We recently decorated the Mile High Harley Davidson store here in Colorado for an event that showed off the new LIVEWIRE electric motorcycle from Harley Davidson. 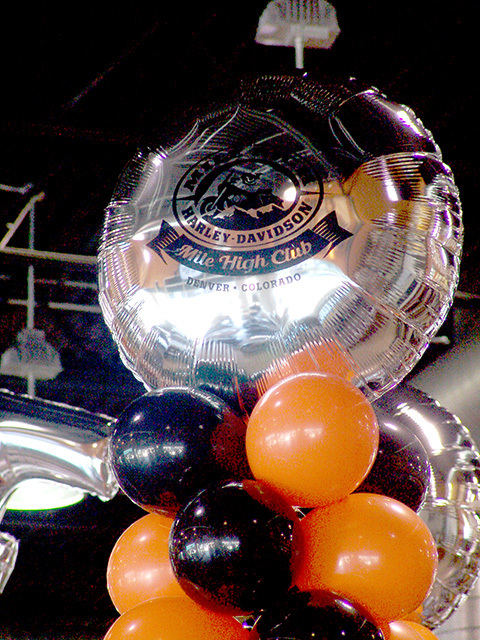 It was fun to add chrome Mylar balloons above with soooo much chrome to match below on all of those gorgeous motorcycles. 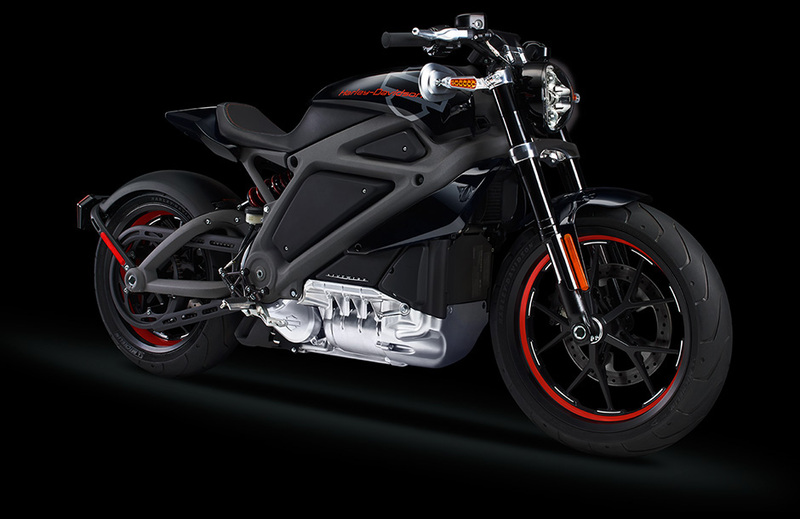 Really turned out sharp!